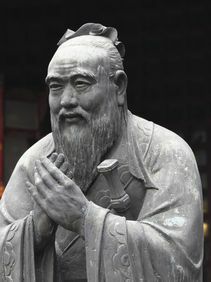 Confucius on managing parents: “Serve them in life.” It is not enough to feed one’s parents “if respect is absent, wherein should we differ from the beasts?” If parents seem to be mistaken, we may respectfully argue and protest, but we must obey them. Reference: German-Swiss psychiatrist and philosopher Karl Jaspers‘ The Great Philosophers (trans. Ralph Manheim.) 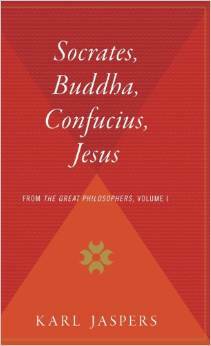 I recommend The Great Philosophers for its delightful introductions to the philosophies of four great minds from the “East” (i.e. east of the Danube river:) Jesus, Socrates, Confucius, and the Buddha. What Is the Point of Life, If Only to Be Forgotten? Maxims and proverbs condense humankind’s wisdom through the ages. 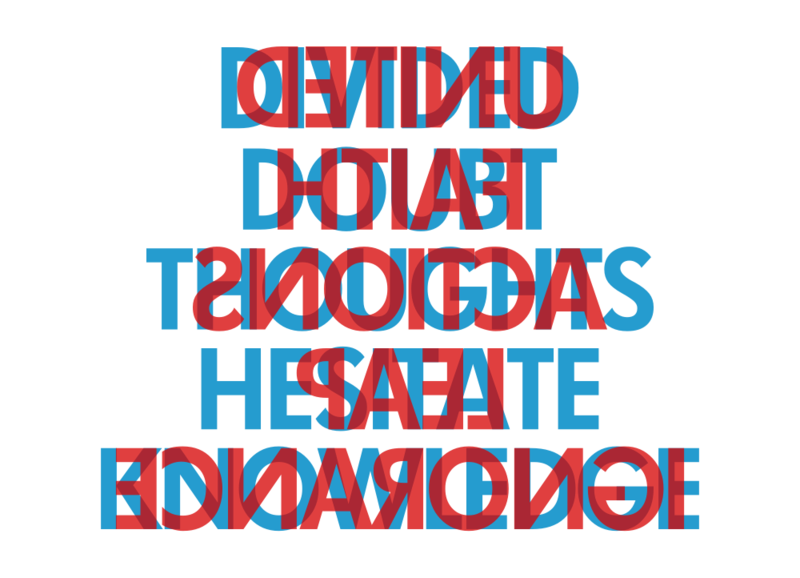 Applied appropriately, proverbs are persuasive devices to convince others—through wit, humor, zing, irony, or bitterness—of implied wisdom and collective experience. One of the pleasures of working with maxims, proverbs, and quotations is contemplating confirmations, counterparts, contradictions, and inconsistencies. In other words, it’s fascinating and helpful to examine how words might apply differently in various situations. When used without qualification, proverbs sometimes cancel one-another out. The following compendium illustrates this phenomenon. The Chinese New Year, or the Spring Festival, is the most important festival on the Chinese calendar. The festivities traditionally begin on the first day of the first month of the Chinese calendar and end with the Lantern Festival celebrated on the 15th day of the New Year. The Chinese festival year follows a lunar calendar and consists of twelve moons; each moon lasts about 29 1/2 days. The Chinese calendar follows a 12-year cycle and each year relates to an animal in the Chinese zodiac. Year 4708, the year beginning February 3, 2011, is the Year of the Rabbit. For the Chinese, the New Year is a time of great renewal. They devote the last few days of the old year to intense preparation. They clean their homes in a belief that, along with the dirt and debris around their homes, they can sweep away the mistakes and misfortunes of the past. They hang protective ornaments in their homes to welcome the good fortunes that the New Year brings. The Chinese New Year is also a period of reunion. Scores of migrants return home to share the festivities with their families. The Chinese celebrate by partaking in divinatory readings at temples, sharing gifts, and bonding over elaborate family dinner parties. Children receive “lucky money” in red envelopes as part of the New Year’s gift-giving. 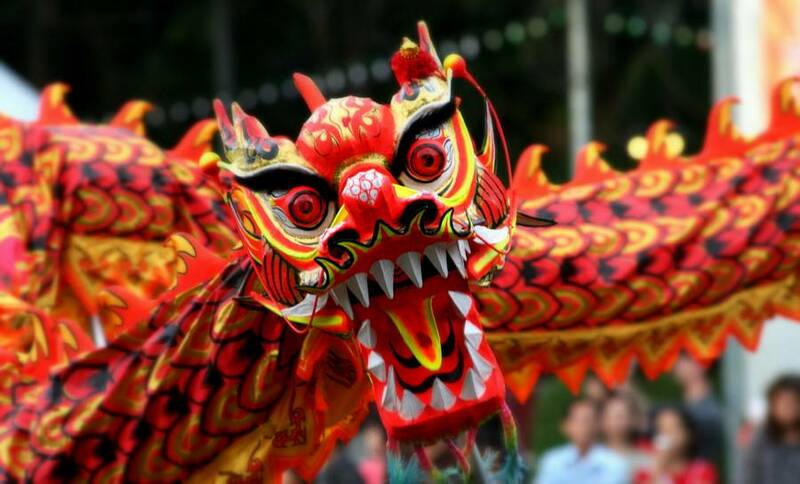 Outside of the Far East, ethnic Chinese celebrate the New Year in Chinatowns around the world with community parades and extravaganzas featuring fireworks, lion and dragon dance-shows, acrobatics, lanterns, and illuminated floats. Gold cannot be pure, and people cannot be perfect. Slander cannot destroy the man … when the flood recedes, the rock is there. I dreamed a thousand new paths… I woke and walked my old one. Man fools himself. He prays for a long life, and he fears an old age. Never try to catch two frogs with one hand. Flowers leave their fragrance on the hand that bestows them. If you want your dinner, don’t offend the cook. Spring is sooner recognized by plants than by men. The best time to plant a tree was twenty years ago. But the second best time is today. 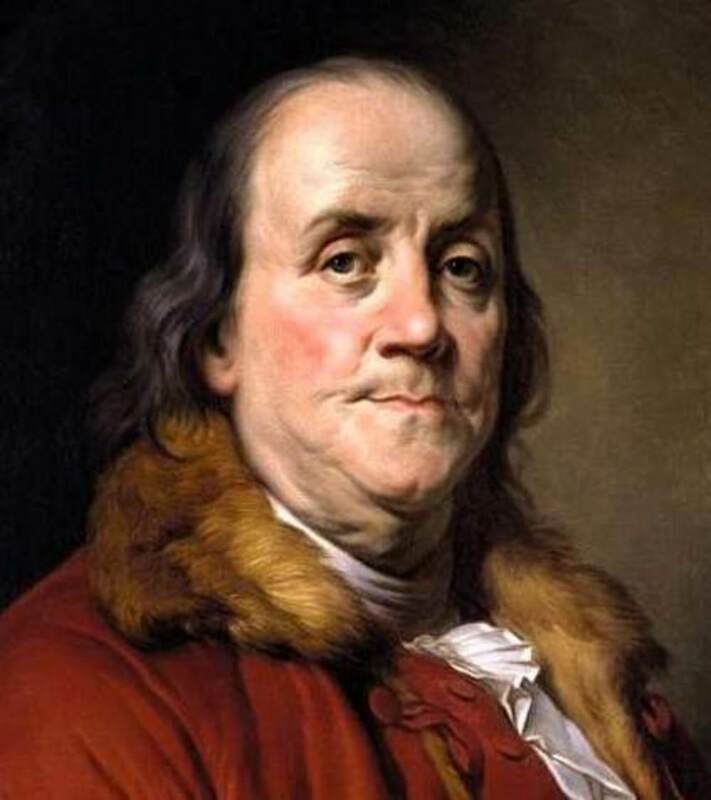 It is the 305th birthday of Benjamin Franklin, American inventor, journalist, printer, diplomat, author, and founding father. Published annually for the next 26 years, the Almanack became widely successful. 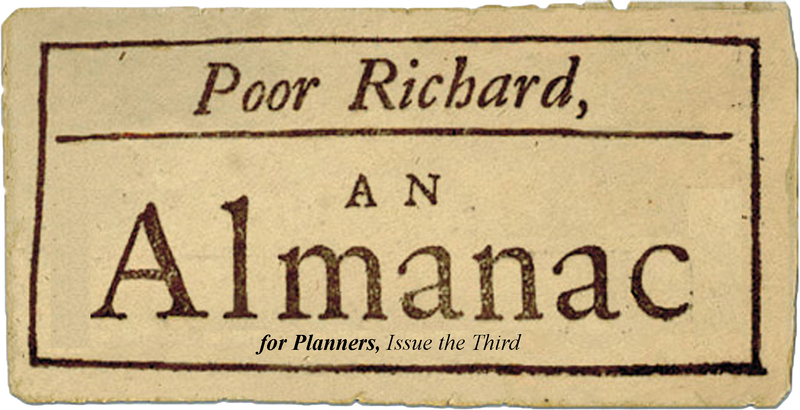 At the height of its popularity, the Almanack sold 10,000 copies a year, making it a best-seller in colonial America. Benjamin Franklin sourced a good number of his maxims in the “Poor Richard’s Almanack” from Native American traditions, common legends and superstitions of his day, public speeches, and works of other published authors. The noblest question in the world is, What Good may I do in it? Early to bed, early to rise, makes a man healthy, wealthy and wise. Pay what you owe, and you’ll know what’s your own. An ounce of wit that is bought, is worth a pound that is taught. Reading makes a full Man, Meditation a profound Man,|discourse a clear Man. Fear to do ill, and you need fear naught else. A quarrelsome Man has no good Neighbors. If time be of all things the most precious, wasting time must be the greatest prodigality, since lost time is never found again; and what we call time enough always proves little enough. Let us then up and be doing, and doing to the purpose; so by diligence shall we do more with less perplexity. He that sows thorns, should not go barefoot. Work as if you were to live 100 years, Pray as if you were to die To-morrow. Who is strong? He that can conquer his bad Habits. Don’t go to the doctor with every distemper, nor to the lawyer with every quarrel, nor to the pot for every thirst. Distrust & caution are the parents of security. Avarice and Happiness never saw each other, how then shou’d they become acquainted. Proclaim not all thou knowest, all thou owest, all thou hast, nor all thou canst. Employ thy time well if thou meanest to gain leisure; and since thou art not sure of a minute, throw not away an hour. Leisure is time for doing something useful, and this leisure the diligent man will obtain, but the lazy man never, for a life of leisure and a life of laziness are two things. Plough deep, while Sluggards sleep; And you shall have Corn, to sell and to keep. Better is a little with content than much with contention. Silence is not always a Sign of Wisdom, but Babbling is ever a Mark of Folly. You may give a Man an Office, but you cannot give him Discretion. Experience keeps a dear school; but fools will learn in no other, and scarce in that; for it is true, we may give advice, but we cannot give conduct. Sloth makes all things difficult, but industry, all things easy. — He that rises late must trot all day, and hall scarce overtake his business at night, while laziness travels so slowly that poverty soon overtakes him. The Proud hate Pride — in others. Diligence overcomes Difficulties, Sloth makes them. Would you persuade, speak of Interest, not of Reason. An empty bag will not stand upright. He that can compose himself, is wiser than he that composes books. He’s a Fool that cannot conceal his Wisdom. Beware of him that is slow to anger: He is angry for some thing, and will not be pleased for nothing. How many observe Christ’s Birth-day! How few, his Precepts! O! ’tis easier to keep Holidays than Commandments. Think of three Things, whence you came, where you are going, and to whom you must account. Virtue may not always make a Face handsome, but Vice will certainly make it ugly. To-morrow, every fault is to be amended; but that To-morrow never comes. The things which hurt, instruct. He that’s content, hath enough; He that complains, has too much. If time be of all things most precious, wasting time must be the greatest prodigality, since lost time is never found again. A great Talker may be no Fool, but he is one that relies on him. They that won’t be counselled, can’t be helped. Tell a miser he’s rich, and a woman she’s old, you’ll get no money of one, nor kindness of t’other. Tell me my Faults, and mend your own. Men take more pains to mask than mend. The poor have little, beggars none, the rich too much, enough not one. A Temper to bear much, will have much to bear. If Man could have Half his Wishes, he would double his Troubles. Hunger never saw bad bread. To err is human, to repent divine, to persist devilish. When you’re good to others, you are best to yourself. Do not do what you would not have known. Half the Truth is often a great Lie. There are lazy Minds as well as lazy Bodies. He that lives upon Hope, dies fasting. What signifies your Patience, if you can’t find it when you want it. Fish & visitors stink in 3 days. Sin is not harmful because it is forbidden, but it is forbidden because it is hurtful. Be neither silly, nor cunning, but wise. They who have nothing to be troubled at, will be troubled at nothing. It’s the birthday of Oscar Wilde, Irish writer, poet and playwright. Born Oscar Fingal O’Flahertie Wills Wilde, in Dublin on 16th October, 1854, Oscar Wilde is famous for his plays and his confinement and untimely death at age 46. His prominent works include The Picture of Dorian Gray (a novel), Salome (a play), An Ideal Husband (a play), and The Importance of Being Earnest (a play). Oscar Wilde is also famous for his intellectual humor and witty epigrams. Some of his most famous one-liners include, “Life is never fair. And perhaps it is a good thing for most of us that it is not.” And, “Every saint has a past and every sinner has a future.” Below are some more of his most inspirational epigrams. At age 40, Oscar Wilde was arrested and subsequently convicted for two years of hard labor for “gross indecency.” His health deteriorated when he got out of prison and moved to Paris. For the next four years, he travelled around Europe and died of cerebral meningitis on November 30, 1900. The only difference between a caprice and a lifelong passion is that the caprice lasts a little longer. I forgot that every little action of the common day makes or unmakes character, and that therefore what one has done in the secret chamber one has some day to cry aloud on the house-tops. When one is in love, one always begins by deceiving oneself; and one always ends by deceiving others. That is what the world calls a romance. A sentimentalist is a man who sees an absurd value in everything and doesn’t know the market price of a single thing. In this world there are only two tragedies. One is not getting what one wants, and the other is getting it. The last is much the worst; the last is a real tragedy! But the bravest man amongst us is afraid of himself. The mutilation of the savage has its tragic survival in the self-denial that mars our lives. We are punished for our refusals. Every impulse that we strive to strangle broods in the mind and poisons us. The body sins once, and has done with its sin, for action is a mode of purification. Nothing remains then but the recollection of a pleasure, or the luxury of a regret. The only way to get rid of a temptation is to yield to it. Resist it, and your soul grows sick with longing for the things it has forbidden to itself, with desire for what its monstrous laws have made monstrous and unlawful. It has been said that the great events of the world take place in the brain. It is in the brain, and the brain only, that the great sins of the world take place also. The only difference between the saint and the sinner is that every saint has a past and every sinner has a future. 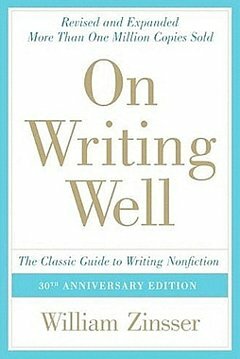 Journalist William Zinsser's bestselling manual has inspired generations of writers to perfect their skills in introducing clarity and brevity, and presenting their unique voice into prose.